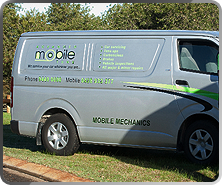 Our mobile mechanic in Perth will provide you nothing but a great and cutting-edge service that includes Diagnostics, Repairs, and Servicing. Mechanic Mobile Perth will service your vehicle to manufacture’s handbook standards. We ensure your new vehicle Manufacture’s Warranty is maintained at all times. With all repairs, you can be rest assured of the use of quality parts and diligent service to maintain your new car warranty. Tired of taking your car to the mechanics whenever it needs a service or breaks down on you, so you wait for a whole day or two for it to get fixed? With us, you no longer have to! Get the luxury of having to stay at home or at your office without having to move an inch to service your car. We will simply go the extra mile for you! With our across-the-board mobile mechanic services , we provide tune-ups on any make or car model. Just name it! We are simply a mobile car service like no other.